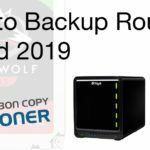 Updated: June 1st 2018 to add new Nikon TC lens type to the list. Updated: August 2018 to add new Nikon mirrorless lens systems. In this article we will the talking about lenses from three different Nikon Lens mounts. The Z-Mount, the F-Mount and the 1-Mount. The Nikon Z-Mount is an interchangeable lens mount that was introduced in 2018 alongside a new full-frame mirrorless camera system. The Z-Mount’s short 16mm flange distance and wide 55mm mount diameter will pave the way for a totally new series of Nikkor lenses that can use modern manufacturing techniques and optical design to attain even sharper lenses in a smaller and lighter package. 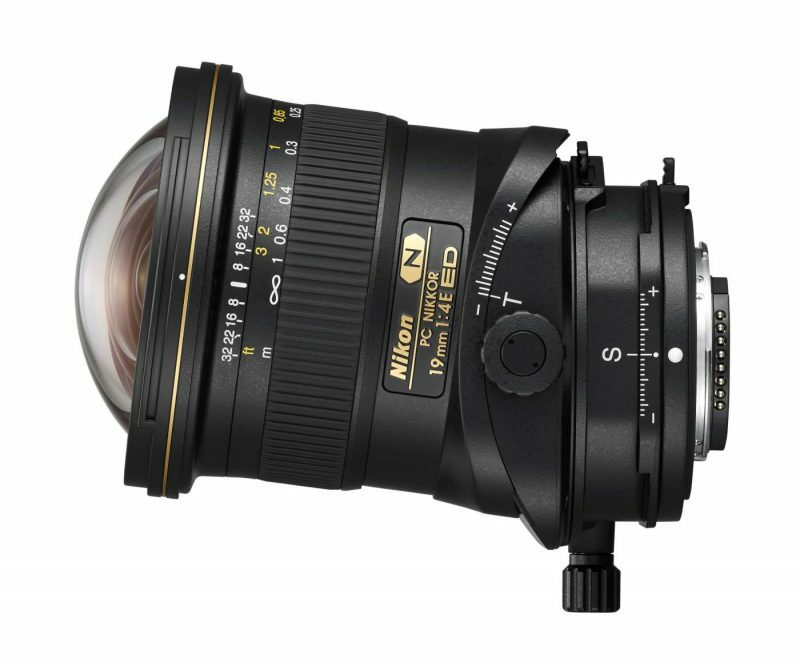 At introduction, Nikon launched three lenses for the Z-Mount, whilst at the same time providing a roadmap of future lens releases for this new format. 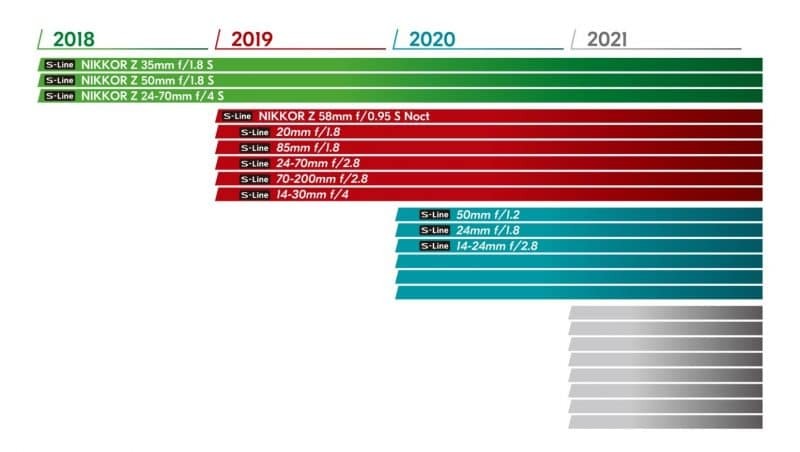 Current Nikon Z-Mount lens release roadmap. Alongside the the new Nikkor Z lenses and Z-Series mirrorless camera bodies, Nikon also launched the Nikon FTZ Mount Adapter. This adapter allows you to use the vast majority of Nikkor F-Mount lenses (approximately 36o lenses) on a camera that has a Z-Mount – great news for the millions of F-Mount lens owners out there! Full AF/AE is supported when using FX or DX AF-S Type G, D or E lenses, as well as AF-P type G and E lenses, and AF-I type D lenses. It’s also fully compatible with AF-S/AF-I Teleconverters. Note that there is no way to go the opposite way and mount Nikkor Z lenses on an F-Mount DSLR camera. The Z-Mount is simply far too wide. The Nikon F-mount is Nikon’s standard DSLR lens mounting system. Introduced in 1959, F-mount lenses have been in production for over 50 years and the range currently encompasses over 400 Nikkor lenses; In the 1980’s, with the coming of the auto-focus revolution Nikon, unlike other manufacturers, chose to adapt the F-mount rather than scrapping it in favour of a new auto-focus compatible lens mounting system. This decision cemented the F-mount’s unquestionable claim of being the largest interchangeable lens system ever manufactured. The Nikon F-mount system features a high level of lens and camera compatibility; Many early manual-focus lenses can with slight modification be used on modern Nikon cameras, and many current Nikon lenses can be used on the original Nikon F SLR. 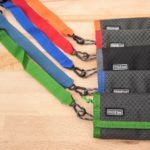 It is worth noting however that some compatability issues do exist, so be sure to check manufacturer documentation before experimenting with new combinations. The FX abbreviation indicates that a lens resolves an image the size of a 35mm full-frame sensor and is therefore designed to be used with Nikon’s full-frame camera bodies. FX lenses can be mounted on Nikon’s crop sensor DX format bodies, resulting in change in field of view from the original lens specification. DX lenses resolve an image the size of an APS-C sensor, and are designed to be used with Nikon’s DX format crop sensor bodies. DX lenses were introduced in 2003 to meet the demand for truly wide-angle lenses for use with Nikon’s new DX format digital cameras. 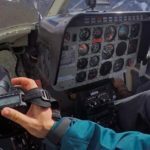 DX lenses are generally smaller and cheaper than their FX equivalents making them an excellent choice for amateur and enthusiast shooters who are unable to justify the cost of more expensive FX systems. DX lenses can be mounted on FX format bodies, the camera will automatically adjust the viewfinder and capture a cropped DX sized image. CX Lenses, also known as 1 Nikkor lenses were introduced in 2011 and are specifically designed to be used with the Nikon 1 mirrorless digital camera system. The Nikon 1 system uses an extremely small 13.2 x 8.8mm sensor and the CX-mount is different in physical size to it’s larger DX, FX and Z siblings. 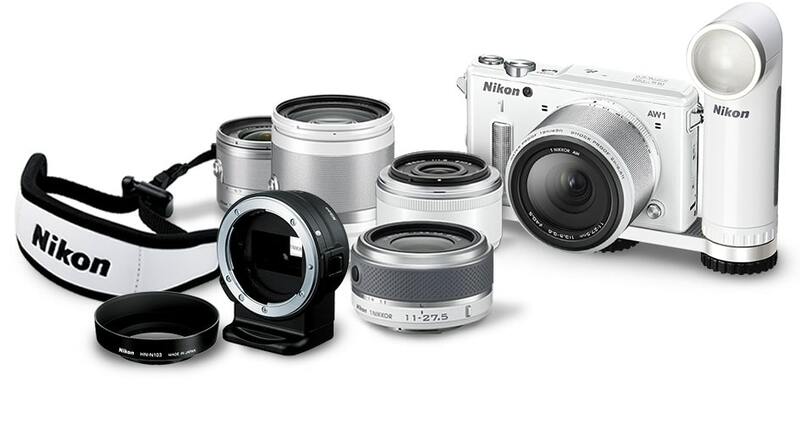 CX lenses cannot be mounted directly on DX or FX format camera bodies, however the Nikon FT1 F-Mount adaptor however allows the use of all F-mount lenses on Nikon 1 bodies. There is also a small subsection of the CX line called CX-AW which is talked about later in the article. Nikon ‘Micro’ lenses are the company’s range of lenses designed for macro, or close-up photography. A good Macro (or Micro!) lens should feature a 1:1 magnification ratio for taking highly detailed, life sized images of subjects. Nikon began making microscopes in 1903, and made their first lens specifically designed for close-up photography in 1956. Micro lenses are available in both DX and FX formats. 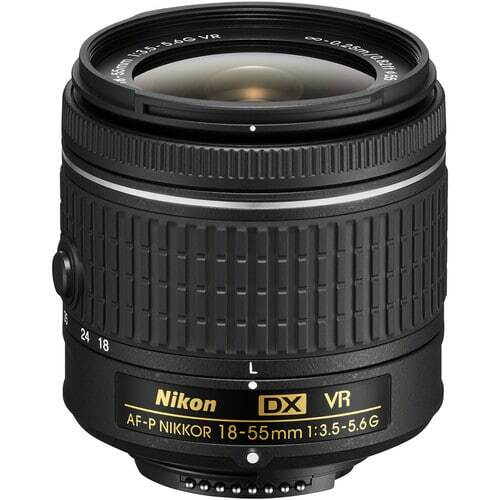 Nikon’s PC or ‘Perspective Control’ lenses are the company’s equivalent of Canon’s ‘Tilt-Shift’ lenses. These manual focus lenses allow the shooters to alter the angle between the focal plane and the camera sensor. This adjustment allows compensation for the Keystone effect, which causes parallel lines in an image to converge if the camera is not perfectly level. PC lenses can also be used to increase depth of field at wide apertures, and are extremely popular with landscape and architectural photographers. DC or ‘Defocus Control’ lenses are designed for portrait photography and allow subtle alteration of out of focus elements or bokeh. Not to be confused with soft focus lenses, DC lenses are in fact extremely sharp at in-focus image areas. Bokeh is adjusted by controlling the amount of spherical aberration in specific areas of an image, allowing the shooter to make subtle background adjustments that can dramatically alter an images impact. A gold ring mounted around the end of a Nikon F-Mount lens indicates that the lens is of professional quality. Gold Ring lenses feature an enticing mix of fast and constant apertures and complex high fidelity optical formula, using aspherical elements and special low dispersion glass. Housed in robust metal, and lightweight composite bodies, and utilizing exotic lens coatings gold ring lenses represent the pinnacle of Nikon lens technology. Gold rings can be found on lenses raging in focal length from 10mm to 800mm, but expect to pay a high entry fee to club! Auto focus lenses are denoted by the acronym ‘AF’ older AF lenses used a physical connection between the camera body (where the motor was housed) and lens to focus on a subject. Newer AF-S lenses feature a ‘Silent Wave’ motor built into the lens barrel. The only lenses in the current Nikkor lineup that are not AS lenses are the PC and PC-E lenses. Due to the physical rotation and movements of the lens body, it’s simply not possible to include a focus racking system. The same goes for other tilt-shift style lenses from other manufacturers. Most popular AF lenses: Well, this pretty much covers all of them, so in this case I’m just going to link to current Nikon lens deals. Auto focus lenses with built-in ‘Silent Wave’ Motors which convert traveling waves into rotational energy to focus the lens optics. Designed to be used on bodies with no built in motor, AF-S lenses are fast, accurate, and quiet and all but the cheapest feature fulltime manual focus override. Almost every current Nikkor lens now features the AF-S designation, but there are some that use AF-P, see next entry. Most popular AF-S lenses: Again, since this designation covers nearly the entire range of Nikkor lenses, it’s probably more useful to link to this section which lists all current AF-S Nikkor lenses by their popularity. Introduced at the beginning of 2016, the AF-P lenses feature a “stepping motor” like Canon’s STM lenses. This style of motor is much is considerably quieter than AF-S technology, and it also has a much smoother motion during the focus process. AF-P is therefore ideal for shooting video, to both maintain a smooth motion during zooming, and also so that you don’t hear the focus motors in the recording. ED indicates that a lens uses ‘Extra-low Dispersion’ glass, a technology developed by Nikon to allow the production of lenses that significantly reduce chromatic aberration. 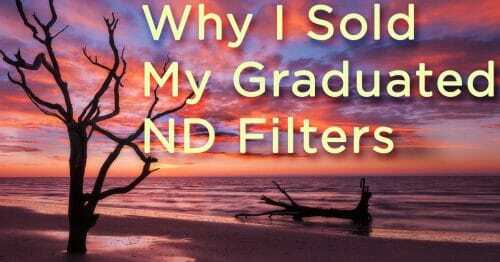 Previously chromatic aberration was reduced by using calcium fluorite-based glass, but it’s brittle nature and temperature sensitivity led Nikon to develop ED as a more robust solution. E-type lenses feature electronic diaphragm control, severing the physical connection between aperture lever and camera of older lenses in favour of a completely electronic system. E-Type lenses provide faster, more accurate aperture actuation allowing higher frame-rates when shooting in shutter priority modes. 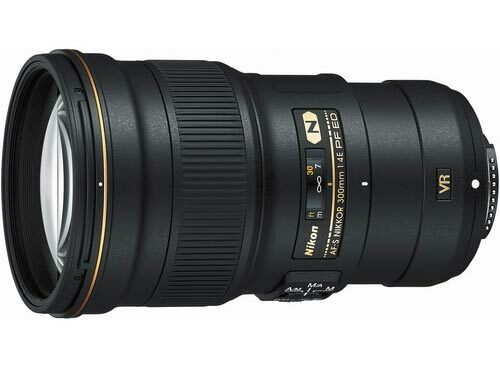 The system is more expensive than D and G lens aperture mechanisms, so is only available at the moment in Nikon’s high-end professional lenses. ‘Perspective Control’ lenses which feature an electronically controlled diaphragm. Please see earlier entry for PC lenses to get the lowdown on the perspective control process. G-lenses have no physical aperture ring, the aperture of the lens can only be altered through the camera body. G-lenses can be mounted onto manual focus bodies but the shooter will be unable to change the lens aperture. All modern day Nikkor lenses are “G” lenses, so this is one of the designations that is most often wondered about. Of course, it’s importance was more significant back at the time when Nikon were still releasing lenses with manual apertures and they need a way to designate those newer automatic aperture lenses. IF or ‘Internal focusing’ allows the lens to focus without altering its physical size. Elements within the lens barrel move to acquire focus allowing for lighter more compact lens designs and faster auto focusing speeds. It’s difficult to make all zoom lenses with an IF design, so long zoom ratio lenses like the Nikon 200-500 are not IF designated. The 200-400 f/4 is an IF lens, but several times more expensive to account for the optical complications in making such a design. Some lenses like this 200-400 are IF lenses, without carrying the IF designation in their title. Confusing, I know. ‘Close-Range Correction’ system lenses allow excellent image quality to be captured at close focusing distances. Lens groups move independently during focusing to maintain optical performance in close focus situations by using a floating element lens design. Nikon used the CRC system is used in fisheye lenses, wideangle lenses, Micro macro lenses, and a few medium telephoto lenses starting in 1967. The designation is no longer found on modern lenses because elements of this design philosophy are now present in all lenses, but CRC can still be found on some older second-hand lenses like the Nikkor 35mm f/1.4 AI-s.
ASP and AS lenses contain at least one Aspherical lens element. The profile of an aspherical element does not conform to the surface of a sphere. Aspherical elements are used to correct coma and various other types of lens aberrations but are costly and complex to manufacture. Aspherical elements first began to appear in Nikon lenses in 1968 and some older lenses features this designation externally. Modern day lenses may feature the AS designation within the lens specifications, but it is not written externally on the lens anymore. Lenses feature ASP Aspherical elements made of ED glass. 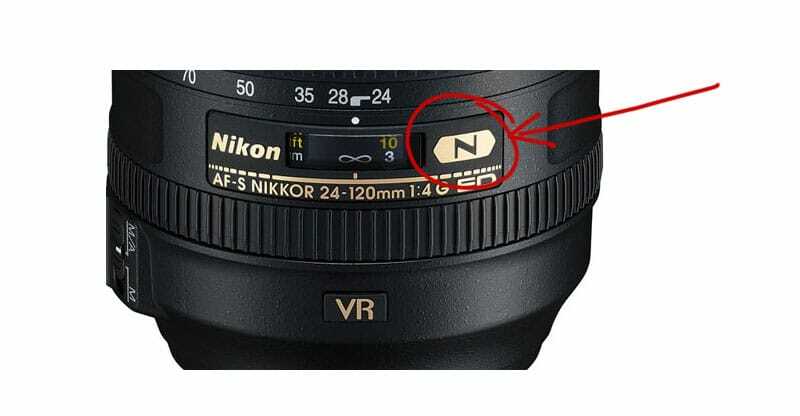 The letter N indicates that a lens utilizes Nikon’s ‘Nano Crystal Coating’ technology. N lens elements are coated in nano sized crystallized particles which dramatically reduce inter-element reflection within a lens and also help reduce ghosting and flare which can be problematic in wide angle lenses in particular. In RF or ‘Rear Focusing’ lenses only the rear lens element moves during focusing, like IF lenses this allows the lens to focus without changing physical size allowing for compact lens designs and faster autofocus performance. Not used in any modern Nikkor lenses and few older ones. In my research I struggled to find any example of this kind of lens, although Nikon does still list it in their official accronym list. If you know of an RF lens, please leave a comment at the bottom! Lenses featuring built-in ‘Vibration Reduction’ are designated with the letters VR. Capable of compensating for up to 3-stops of movement when shooting handheld or in tricky lighting conditions. VR is extremely useful in situations where a tripod would otherwise be required. RD Lenses feature aperture blades designed to create a circular opening rather than the usual polygonal type. This alters the appearance of bokeh in an image, the lack of straight lines creating a soft-focus effect. 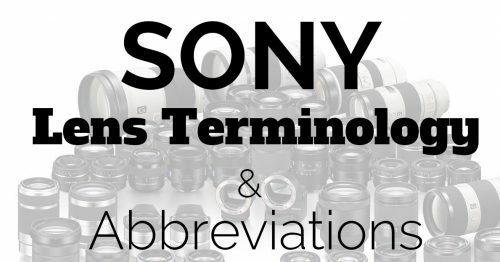 Nikon doesn’t use this abbreviation externally on their lenses, but it can be found in lens specification lists. 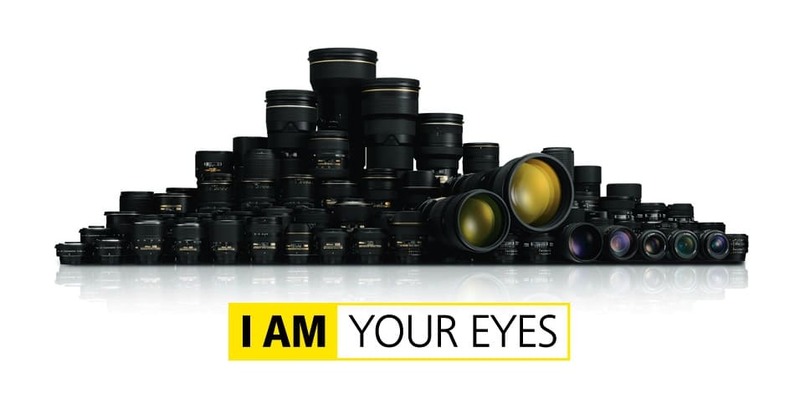 Nikon’s SIC or ‘Super Integrated Coating’ is an exclusive multi-layer lens coating process which supposedly reduces ghosting and flare dramatically. SIC lenses also show superior colour balance and reproduction. Again, this isn’t usually seen externally on the lens barrel as an acronym, but you will find it in lens specification lists. FL lenses feature elements manufactured from Fluorite, a monocrystal optical material. Fluorite is excellent at correcting chromatic aberration within the visible light spectrum and is also lighter than optical glass. Fluorite-glass can however be brittle and temperature sensitive. Nikon AW (All Weather) lenses and camera for underwater usage. 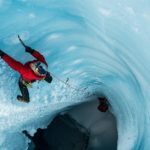 As part of the 1 Nikon camera lineup, Nikon released some full waterproof cameras that used the CX mount described at the beginning of the article in the mounts section. Along with these cameras came several fully waterproof lenses which carry the AW designation for All Weather. When mounted on a waterproof 1 Nikon camera, you can submerge the pair completely in water. 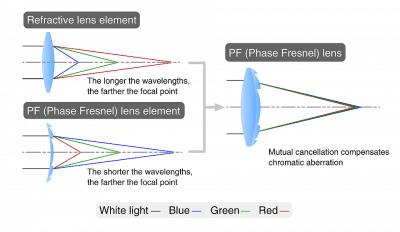 PF lenses stand for Phase Frenel, and are essentially Nikon’s equivalent of Canon’s popular DO (Diffractive Optics) technology. This technology uses a specially designed diffractive lens element to correct chromatic aberration, something which typical refractive lenses need several lens elements to do.The diffractive element features a microscopically grooved rear element that forces light of different wavelengths to all converge on the same point (see diagram above). The result is a much smaller and lighter lens. 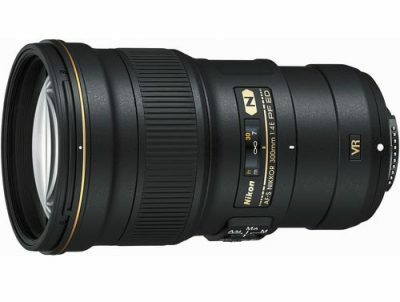 The Nikon PF line began with the 2015 introduction of the Nikkor 300mm f/4E PF ED VR, and continues in 2018 with the introduction of the Nikkor 500mm f/5.6E PF ED VR. 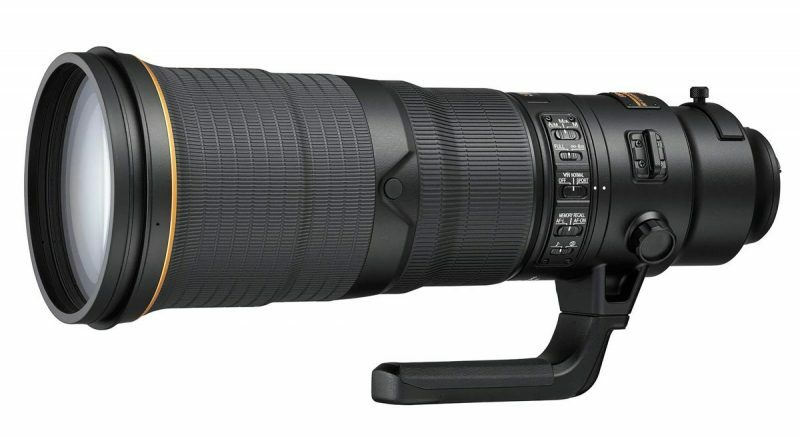 This image from Nikon shows the 500mm f/5.6 PF lens compared to the larger 500mm f/4. I expect this lineup to be quickly expanded over the following decade as the initial lenses were met with high praise. Judging by the raft of Canon patents for DO lenses, and the praise that has met their most recent DO lenses as well, this kind of optical technology is going to be a major feature in future lens designs from the top manufacturer. It’s quite likely that over time it will become the norm and find it’s way into every lens, since it brings significant size and weight reductions. TC stands for teleconverter and any lens that has TC in the the official name has a built in teleconverter that can be engaged with the flick of a switch. 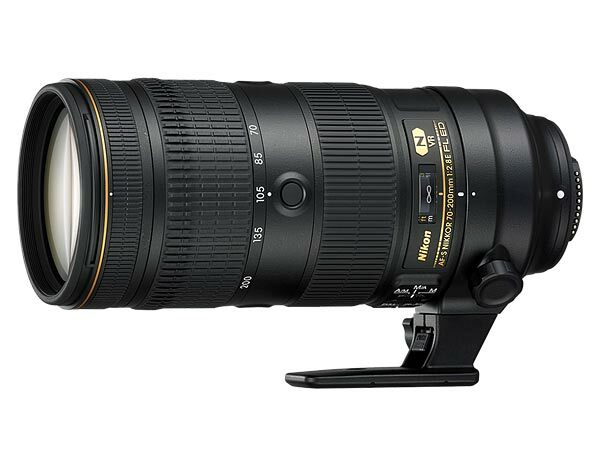 The first, and currently only Nikon TC lens is the Nikon 180-400mm f/4E TC1.4 FL ED VR. Having the teleconverter built into the lens is a huge timesaver in the field, and a very popular option for sports and wildlife photographers who do not wish to miss a moment by having to remove the lens and mount a separate teleconverter. In the photo you can clearly see the bulge that houses the 1.4x teleconverter near the lens mount. When Nikon launched the new full-frame Z-Mount system with the first series of Nikkor Z lenses, all of the lenses had the letter S in the name. It’s currently unknown exactly what this letter stands for, or whether all Nikkor Z lenses will be part of the S-Line. 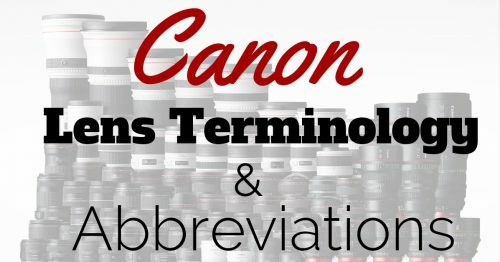 There’s a possibility that this is a designation of professional quality, similar to Canon’s L-Series, and that we will see lower-priced Nikkor Z lenses in the future that do not carry the S-Line designation. For now though, we are somewhat in the dark because Nikon’s own explanation of the S-Line is just waffle and marketing speak: “The S-Line is a newly designated grade of NIKKOR Z lenses that adhere to a new benchmark in optical performance, creating new definitions of design principles and quality control.” *sigh* Not very helpful, Nikon. The Noct lens designation is reserved for lenses with an aperture of f/1.2 or less. 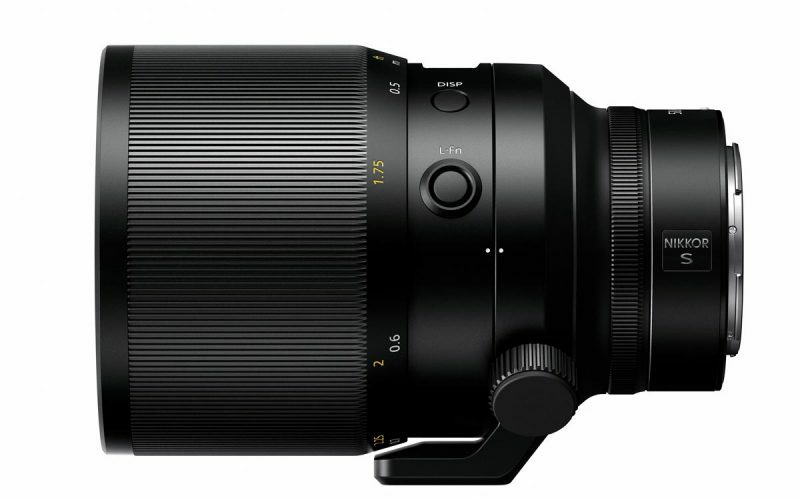 The first Nikkor Z Noct lens is the 58mm f/0.95 S Noct which is scheduled for release in 2019. The lens is manual focus only, has an LCD screen on the top to display focus and depth of field information, and is expected to cost a staggering $6000+. One of the reasons that Nikon decided to create an entirely new mount (Z-Mount) for their full-frame mirrorless system was so that they could widen the mount diameter and shorten the flange distance. Both of these changes allow greater light gather capabilities and opened up the possibility of reviving the Noct name and delivering lenses with insanely wide apertures such as this 58mm S Noct. Chief Resource Researcher at Shutter Muse, amateur photographer and grower of mighty beards.